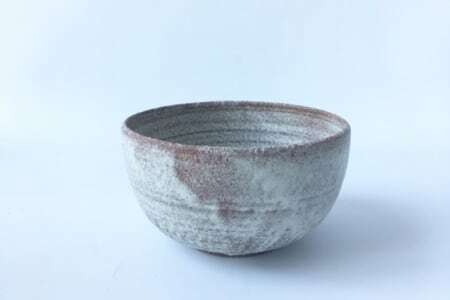 Yasuko Arakawa is a London based ceramicist, born in Kyoto, Japan, who’s work draws from her aesthetic background to create ceramics that bring to mind a heritage of craft whilst inspiring a progression of contemporary product usage. 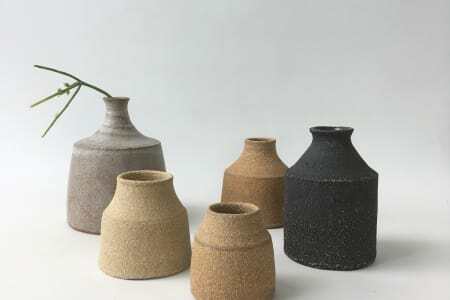 Yasuko’s craft develops the affordance of natural materials into a form that allows the person engaging with the product a feeling connection, through her utilization of carefully mixed glazes and variant grades of clay, enhancing the experience of ceramics beyond function. Her work also aims to explore the possibilities of narrative, through both function and form, to suggest playfulness and initiate imagination with everyday use. Yasuko was really helpful and supportive. We learnt how to make cups and bowls. We will definitely go again! Yasuko was welcoming, very friendly, and helpful. The class was made up of 6 people, she took time with each of us to see how we were getting on. It was a relaxed and fun class, everyone was so nice and got on well with each other. We did start a little late but she didn’t rush us at all. She also offered tea and biscuits.😊 We took many photos at the end of the class. Time went by so quick! Would go again, and definitely recommend! A great first Pottery lesson! Thanks Yasuko. Guidance was effective and supportive and it was great to meet some interesting people. We made a cup and then a bowl. I need some practise but had fun. Yasuko is charming and generous as a teacher and an all round delight to be around. I found the class so informative and rewarding and especially liked that there was an opportunity to make two items within the class, which I very much look forward to receiving. The studio space is really welcoming and the class size was nice - enough people to make new friends but not so many people that you don't feel you get enough assistance or advise - which Yasuko is great at giving. As a teacher, Yasuko is very patient and her skills are very evident in the wonderful work she has displayed in the studio. I loved the taster class so much I decided to sign up to her 8 week course and really look forward to learning more from her. Can't recommend this class enough! Yasuko is such a wonderful teacher and the class is really enjoyable :-) Can't wait to come back! The class was wonderful! Yasuko is very kind a patient teacher. She was able to show us different pottery techniques, helped along the way and in the end we were able to create real bowls and cups. Totally recommend this class! Yasuko's class was amazing!! Booked it for a surprise birthday party present and it turned out to be a great afternoon. She's a lovely teacher, and excited to go to more of her classes! Yasuko has kindly waited everyone to attend the class before she started. she explained throughly and helped every steps during sessions and motivated everyone to deliver the product how they wanted. I still don't know the outcome of the products as it takes a month to complete but I was happy with the session. 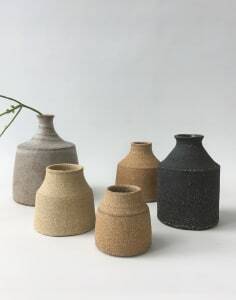 Yasuko is very knowleadgable in pottery and it is clear she really enjoys it. Her instructions are clear and hands on. She is very patient with the students. I will most probably sign up for more classes with her! Yasuko’s class was a really lovely experience, perfect taster course as we had to opportunity to make two pieces, which was more than expected! Would highly recommend. Thanks! Amazing studio in hackney, that day the sun was shining through the entire room. We couldn’t ask for a better teacher, Yasuko is passionate about what she does, she’s patient, funny and a great teacher. I definitely would recommend this class! Lovely class! The teacher Yasuko was great - really friendly and helpful. I will do another class if I can. We had a great time, learnt some new techniques. Taught by an amazing teacher. Will definitely go back again for more. I had such a fantastic time on the course! Yasuko is lovely, really attentive and always coming up with new, fun things to do. The course was the perfect way to start the weekends - I'm going to miss my Saturdays with her!